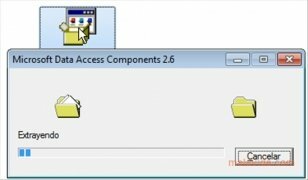 Microsoft Data Access Components (MDAC) is a collection of technologies developed by Microsoft to allow the rest of tools and applications to access the system data. It allows programmers to develop applications that can access nearly any data store. This process is known as Universal Data Access and allows an application to access all kinds of databases at the same time, without having to worry about them being relational or non relational. MDAC 2.61 is an old version, ideal to work with all versions of Windows, specially Windows 95, Windows 98, Windows ME, Windows NT or Windows 2000. When it was launched it was an advance by Microsoft for the creation of applications that work with all kinds of data, at a moment in time when it was clear that the variety of existing devices was going to demand more versatility to Windows Applications. 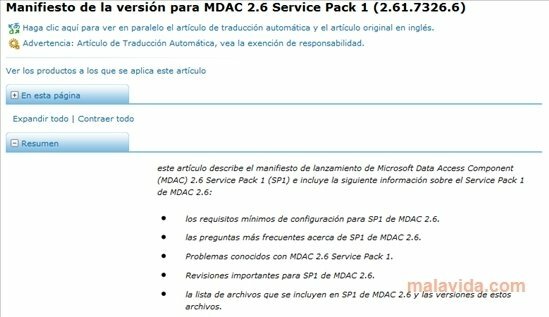 There are other Microsoft downloads that already include the same components as MDAC 2.6, like SQL Server 2000 for instance. What we offer is an independent download for those people that only need to install or repair certain components. It's compatible with Windows 95, Windows 98, Windows ME, Windows NT and Windows 2000.